Borrows the engine from the KTM Duke 390. The KTM RC390, arguably the most anticipated motorcycle in recent times, has been launched in India at INR 2.05 lakhs (ex-showroom, New Delhi). The price is introductory. Based on the Duke 390, the fully faired RC390 is propelled by the same belligerent 372.3 cc single-cylinder fuel injected engine which impresses with 42.9 bhp and 35 Nm of torque on tap. The gearbox is a 6-speed unit. 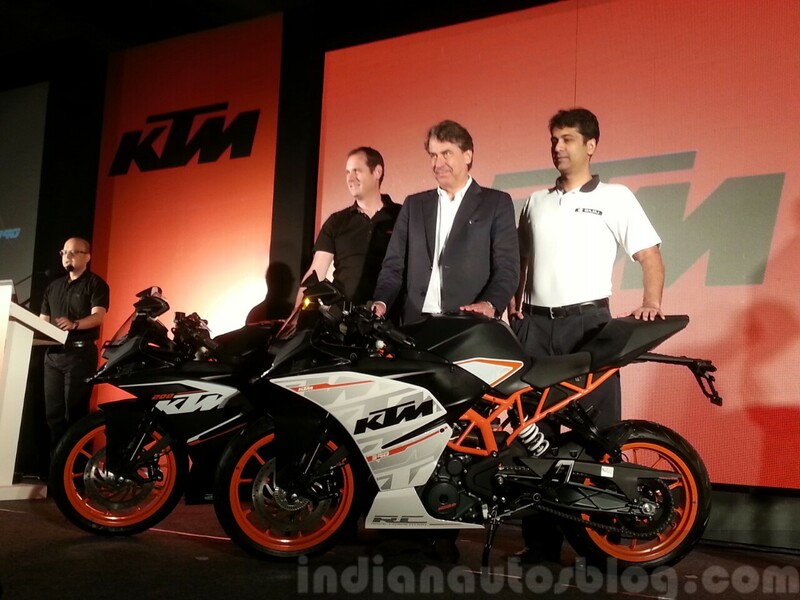 The KTM RC390 (white accented fairing) is priced at INR 2.05 lakhs (ex-showroom New Delhi). Just like the RC200, the RC390's design is full of sharp edges. The LED DRLs, twin circular headlamps, exposed trellis frame painted in orange, mirror-mounted blinkers and split seats are the talking points. The sportsbike is equipped with a top-spec WP suspension system and Metzeler tyres. Further complementing its handling characteristics are reduced rake angle and shorter wheelbase. 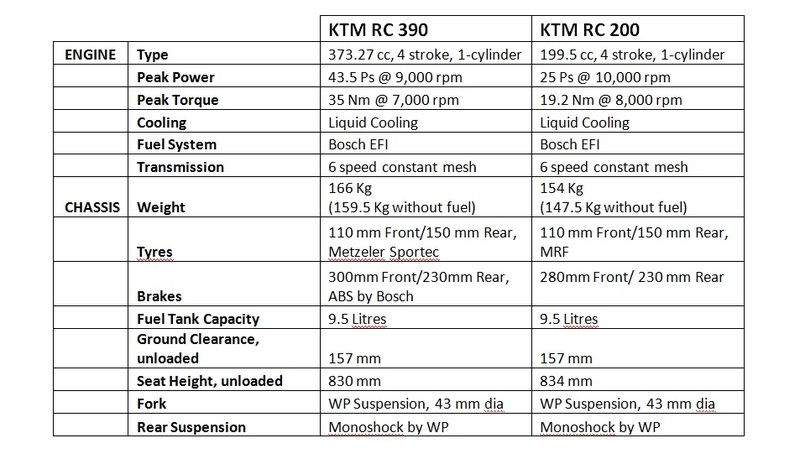 The KTM RC390 weights just 166 kg, resulting in an excellent power-to-weight ratio of 258.31 bhp/tonne. The disc brakes are equipped with standard Bosch ABS.